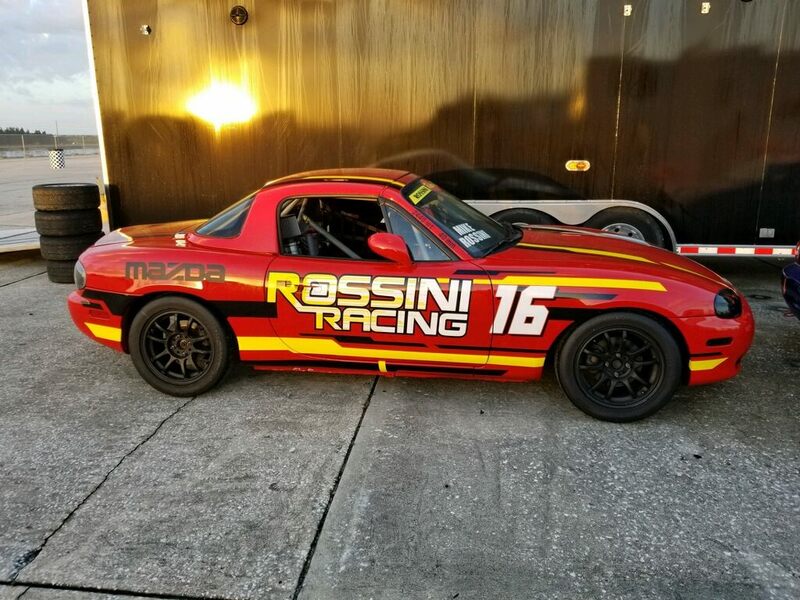 To say that our Rossini drivers are having a great season would be a total understatement. 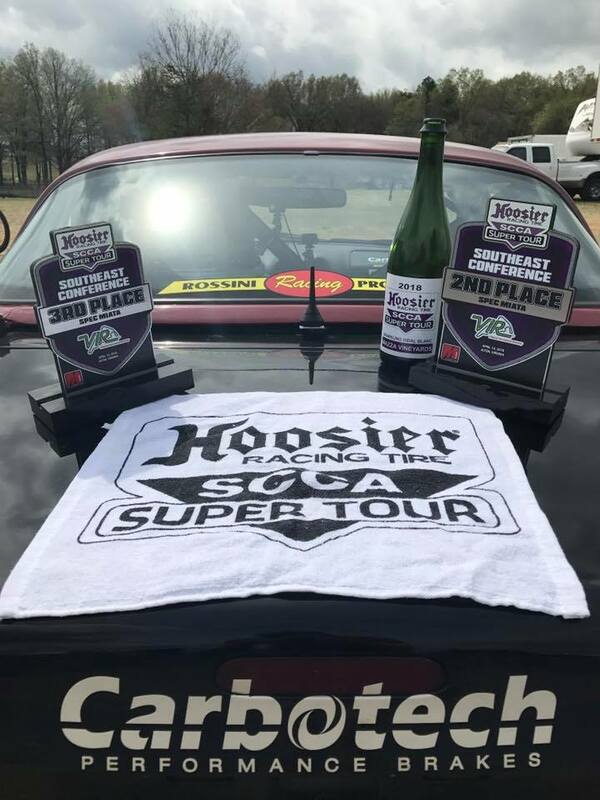 And at this weeks Hoosier Super Tour at Virginia International Raceway, they once again showed their strength. 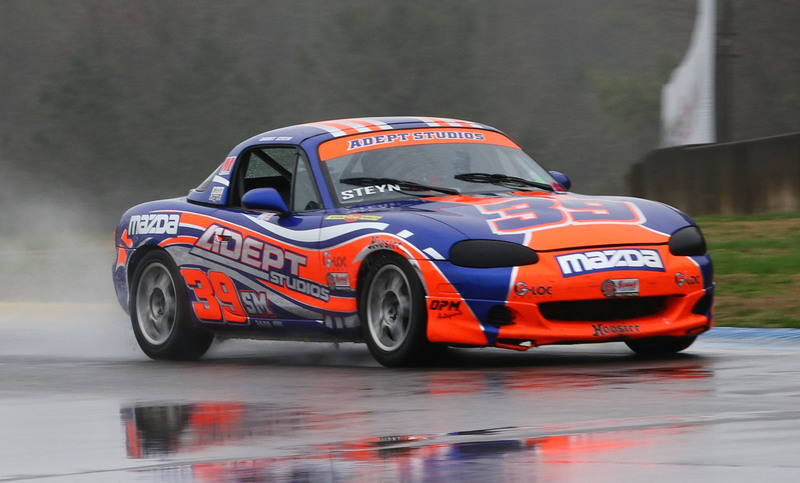 In Qualifying 1, Danny Steyn showed his form and put it on the provisional pole with Michael Carter in 4th, Jonathan Goring in 7th, Evan Karl 10th in his hew car, Jonathan Davis in 14th and Alex Acosta in 19th. In Sunday’s 2nd qualifying session, which ultimately set the grid, Carter finished 2nd, Goring, 3rd, Karl 7th, Steyn 8th, Connole 9th making it five of the top nine drivers powered by Rossini engines. 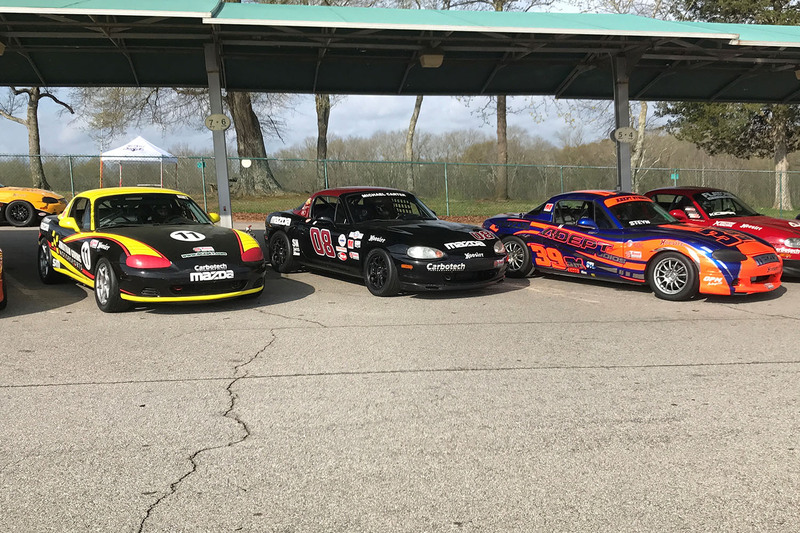 In Saturday’s Race 1, it was an epic duel up front with some of the fastest Spec Miata drivers in the country doing battle. There were several lead changes in the early laps, and then they settled into a rhythm and then with two laps to go all hell broke loose. 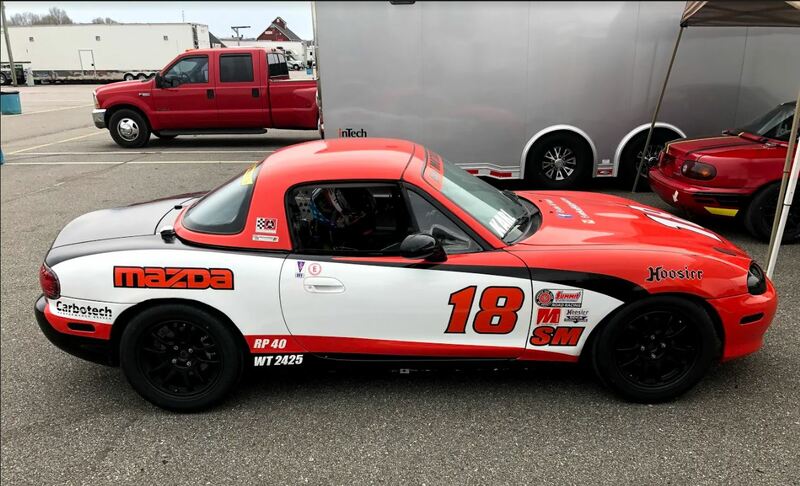 At the front, Jonathan Goring who returned from a 2 year absence, put his Rossini built Spec Miata onto the top step of the podium for the first time this year. And Michael Carter, finishing right on his side, continued his podium streak finishing 2nd. 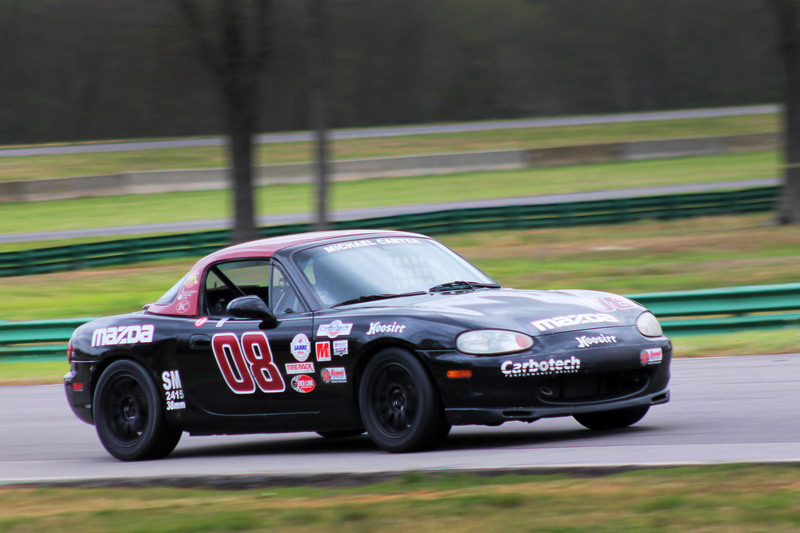 Michael has stood on the podium in every single Majors and Spec Miata race he has raced this year, a phenomenal achievement in a class as deep as this one. In Sunday’s Race 2, the train at the front of the class was nine deep for almost the entire race. There were lots of lead changes and hitting your marks was critical, cos if you made one mistake you could be freight-trained by 5 or more drivers. Goring got to the front but got knocked off at South Bend. Carter got to the front but got freight-trained on the back straight. Steyn got to 3rd but put two wheels off at Oak Tree and got freight-trained. And so the front of the pack kept on changing. On the final lap there were 6 drivers all bumper to bumper coming into the last run down roller coaster. 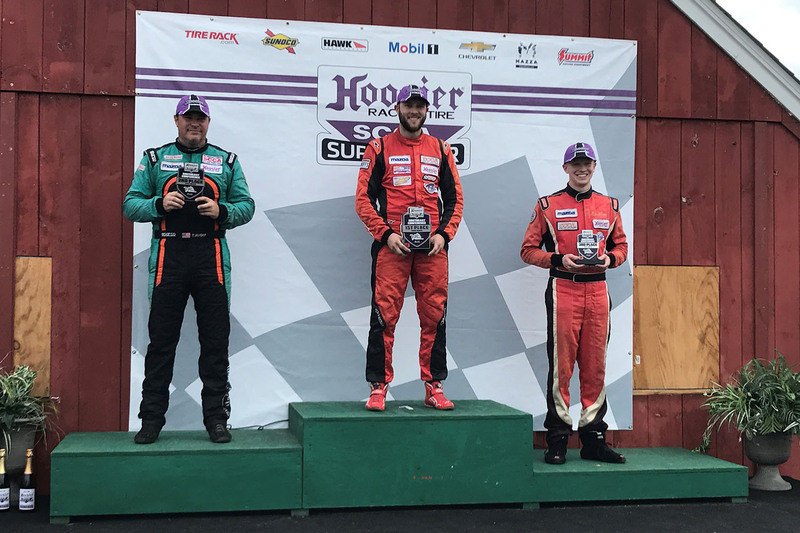 Tyler Kicera held it to the finish over Todd Buras with Michael Carter keeping his podium streak alive yet again with a 3rd place finish. Steyn finished in 7th with Goring on his bumper in 8th. Amy Mills in her Rossini powered VVT finished 17th with Jonathan Davis in 18th and Evan Karl in 23rd. 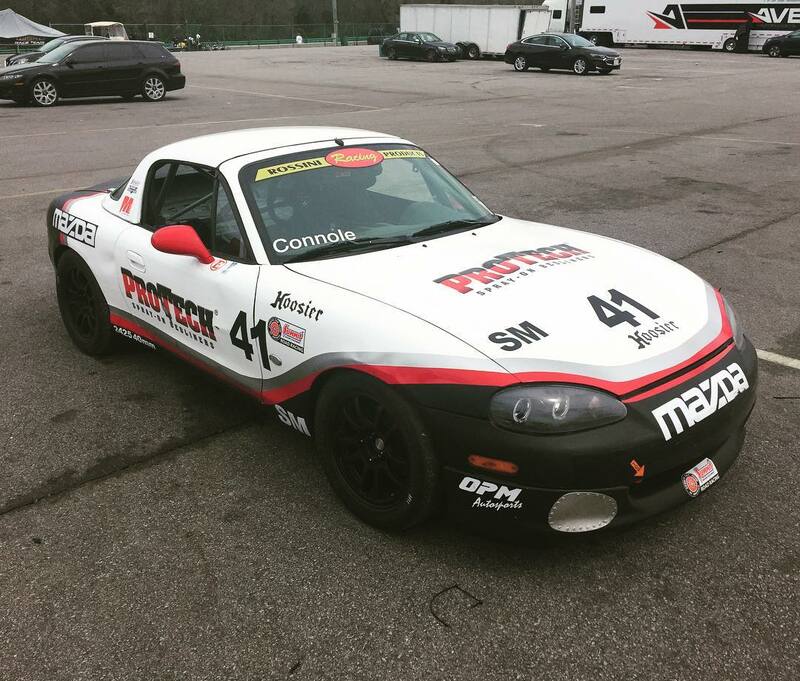 Unfortunately Jason Connole couldn’t get a break and retired with a broken gearbox. 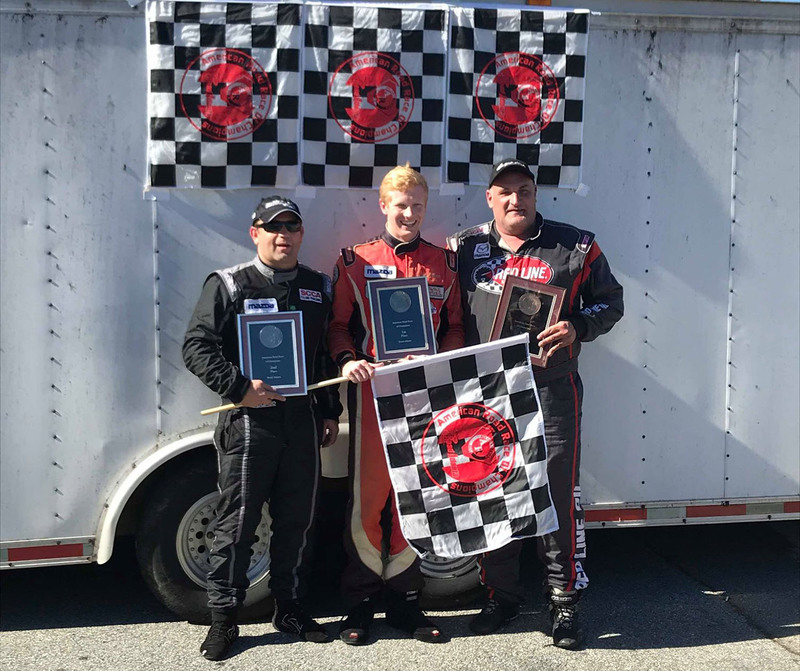 In the South East Majors Conference Points Michael Carter has extended his commanding lead over Preston Pardus, and in the Hoosier Super Tour point standings has closed the gap on points leader Chris Haldeman. 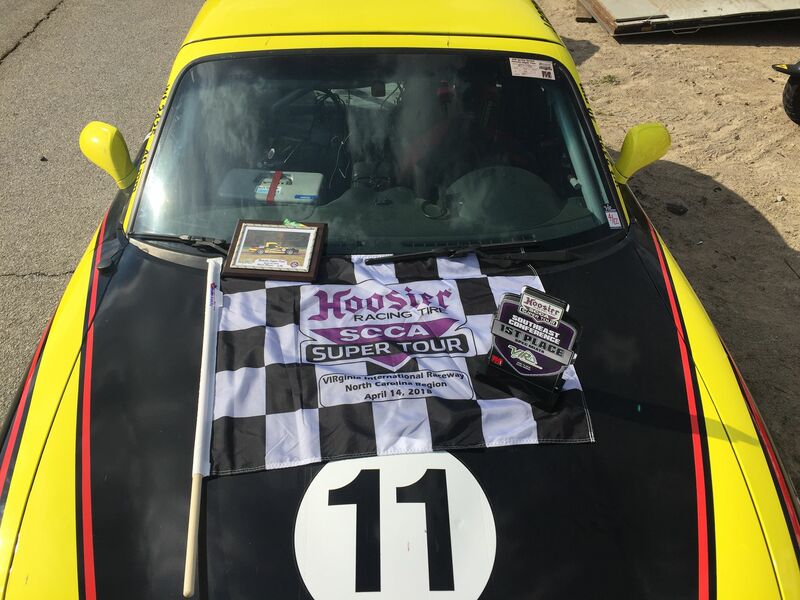 The Hoosier Super Tour moves to Button Willow California April 27-29, followed by Portland International Raceway June 1-3. 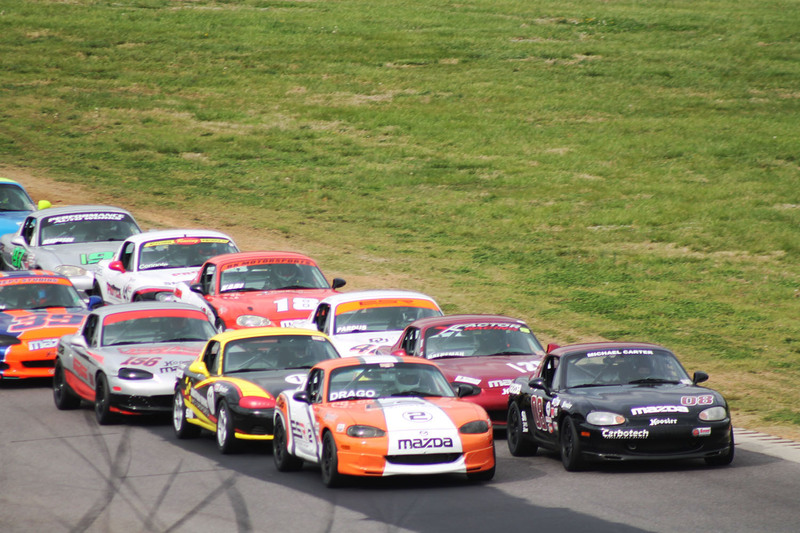 The next Majors Race in the South East is at Charlotte Motor Speedway June 8th – 10th.